She tweeted: "He beat on a girl... not cool that we act like that didn't happen." 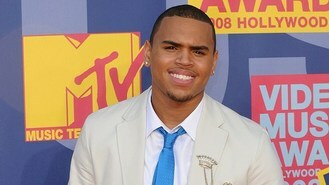 Brown beat up his then girlfriend, singer Rihanna, the night before the Grammys in 2009. He pleaded guilty to an assault charge and was sentenced to five years' probation and six months of community service. Miranda joined others who questioned the move on social networks, suggesting Chris listen to her song Gunpowder & Lead, about avenging domestic violence, and "be put back in his place. Not at the Grammys". She attended Sunday's Grammys in Los Angeles with her husband Blake Shelton, who was a double nominee. Miranda is known for hits including The House That Built Me and White Liar. A message seeking comment from a representative of Chris was not immediately returned.